This semi-curved Michelin sign is older and takes on a different look than most. While measuring 17″ by 11″, this sign is red, yellow, and white with a few hints of grey. 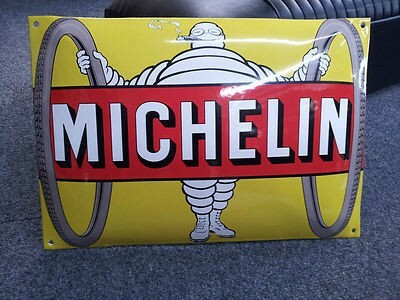 The sign has the Michelin mna holding two tires and smoking a cigarette.